The project succeeded in preparing the ground for citizen monitors and community-based organizations (CBOs) to further hold government officials to account. 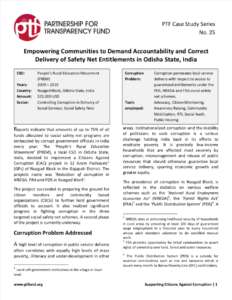 It also realized significant progress in fighting corruption in the three targeted social safety net schemes. A second phase of the project is currently underway.